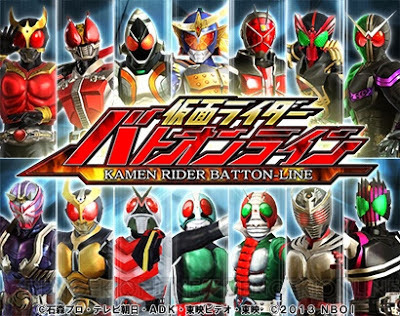 Recently released is the promo of the Kamen Rider PC Game entitled: Kamen Rider Batton-Line. This is in collaboration with Bandai Namco Online and Yahoo Games featuring a simple turn-based game. Mechanics features forming a team in figure form battling together is different missions. Players also have the opportunity to battle online. Beta test has opened to gamers starting October 30th till November 5th. Beta players will receive a Kamen Rider OOO TaToBa Combo figure. The game needs to log-in using his/her Yahoo Japan account.